After watching last night's finale of "The Bachelor," we can honestly say that Juan Pablo Galavis didn't end his season on a high note. 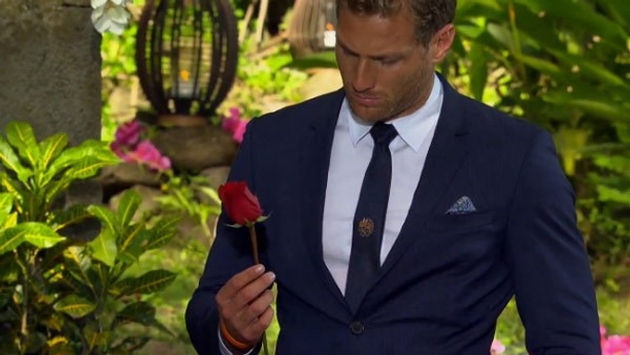 In fact, he may go down in history as the most hated Bachelor ever. But what we did enjoy was getting a firsthand look at Cap Maison, the ultra luxe resort where Juan Pablo camped out in while filming the final episode. For us, the resort’s oceanfront suites look like a place where we could fall in love (even if Juan Pablo couldn't). The Oceanview Villa Suite with Pool & Roof Terrace at St. Lucia’s Cap Maison offers near panoramic views of the Caribbean Ocean, a king bed, living/dining area, full kitchen, and huge private verandah. Large roof terraces feature yet another dining area and near complete privacy and impressive views of the sea. Currently, the resort is offering "The Bachelor Suite" Romance Package. Rates start at $532 per room, per night based on double occupancy, and include five nights in a luxury Villa Suite with sea and sunset views (private pool and Jacuzzi options available); daily full breakfast at Cliff at Cap restaurant; champagne upon arrival and champagne on Rock Maison complete with red rose; $100 resort credit for use at Spa Maison or resort restaurants and a sunset cruise with drinks on Cap Maison 1, the resort's own luxury power yacht (may be part of larger group but never more than 12). The offer is valid through December 19. The all-inclusive rate is also available, starting at $740 per room, per night based on double occupancy, five-night minimum stay. It’s a beautiful suite at a beautiful resort, and how cool would it be to say that your vacation was practically pulled from an episode of "The Bachelor"? It doesn't get more romantic than that! And who knows — maybe your visit will end in an engagement (unlike in did for Nikki)!